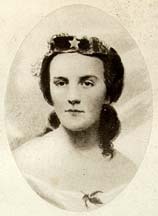 Louise Wigfall Wright, 1846-1915 A Southern Girl in '61: The War-Time Memories of a Confederate Senator's Daughter. Richmond (Va.) -- History -- Civil War, 1861-1865 -- Personal narratives. Women -- Texas -- Biography.